Then you discover the wedding planner—your new best friend. This is a single company with a team of experienced professionals who know all the ins and outs of which service providers to choose, and who to avoid, the latest trends, what works and what doesn’t. You now have one contact that communicates your choices and preferences to all the providers. They manage scheduling, specifications, contracts, and all the million details to deliver a beautiful, crisis-free wedding. You can enjoy planning the rest of the wedding without the stress. Does the wedding cost a little more than doing it all yourself? Of course! But it is worth every penny. In many respects a design-build company is the same kind of solution to a home remodel project. You work with a team of professionals: The contractor, the designer, the project manager, the production manager, the lead carpenter and crew are all under one roof. 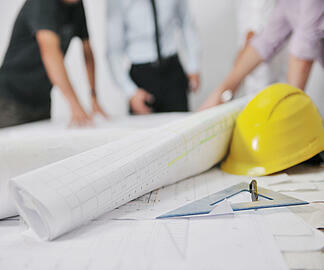 The plans that are imagined, designed, specified and built come through one group of people. You have one contact that coordinates and provides all the details needed to deliver a beautiful, crisis-free completed space. Why does choosing a design-build firm for your Naples-area remodeling project make sense? Here’s a look at a few major reasons you might want to consider this approach versus a convention remodeling approach, where you enlist the services of a designer who then turns his or her plans over to a builder. Design-build saves time. Having a single construction team eliminates delays that commonly occur using separate parties to provide different services. Coordination and scheduling are critical to a timely completion. Design-build saves money on costly mistakes. All information about construction methods and materials is shared within the team. Everyone is aware of the details, and all parties are immediately updated with any changes or deviations to the plan. With everyone on the same page, mistakes and re-dos are avoided. Design-build is client-friendly. It’s your project after all, and you should be an integral part of the design process. The design-build process eliminates the necessity of repeating yourself to 3 or 4 different parties. You work with one team, a team who listens and expedites. Less room for miscommunication, more accountability to the client. You can enjoy the design process without the headaches of coordinating, scheduling, and managing the process. You want the job done right—according to the expectations you expressed to your builder. When you work with a design-build remodeler the people who create the design that reflects your expectations are on the same team as the people who execute the plan. The designer won’t create a plan that the builder can’t work with. And there’s no finger pointing between designer and builder. You want the project completed on schedule—not weeks or months later. Again, because the designer and builder are working together, they know how long it takes to complete a project. You want your remodeling to come in within budget—one you and your builder established. With a design-build model, you’ll firm up your budget ahead of time with all material costs already calculated. You don’t want to be an arbitrator—mediating between the designer and the builder. You never get caught between disagreeing parties. Questions and issues are resolved ahead of time rather than in the middle of construction. Those are pretty straightforward expectations, but realizing those expectations isn’t always as simple as it seems. Helping you achieve those goals is what’s behind the concept of design/build remodeling. Here’s what choosing a design/build remodeler matters when you decide to remodel your Naples-area home. Because all the responsibilities for designing and executing the design you agree on are handled by one team, which results in better communication between the designer who creates the design and the contractor who turns the design into reality. The designer who comes up with the plan knows the exact capabilities of the builders on the team. The designer is not going to design (or promise you) something that’s impossible to construct. I mentioned above that better communication also leads to quicker completion. In fact, according to a study by the Construction Industry Institute1, design/build projects are completed 12 percent faster than the traditional 3-bid process with a separate designer. According to that same study, projects done using the design/build method are more likely to stay within budget—showing a cost growth that’s 5.2 percent less than the traditional 3-bid process projects. The thing is, it’s not about building “cheaper,” it’s about getting more for your money. Whether you plan to remodel your bath, your kitchen, or your whole home, it makes sense to have a unified approach to the project to ensure that you get what you want, when you want it, at the price you agreed on—all without having to referee the various players in the game. Why consider a design-build remodeler for your Naples-area home remodeling project? If less stress, faster completion time, better results, and a smoother all-around project (that reflects what you really want) appeals to you, you may want to give design-build remodeling a closer look! We think our results speak for themselves, and we invite you to check out these examples of what design/build remodeling can do for your home.